It took 43 hours for a stage to travel from The Dalles to Prineville in the late 1800s. 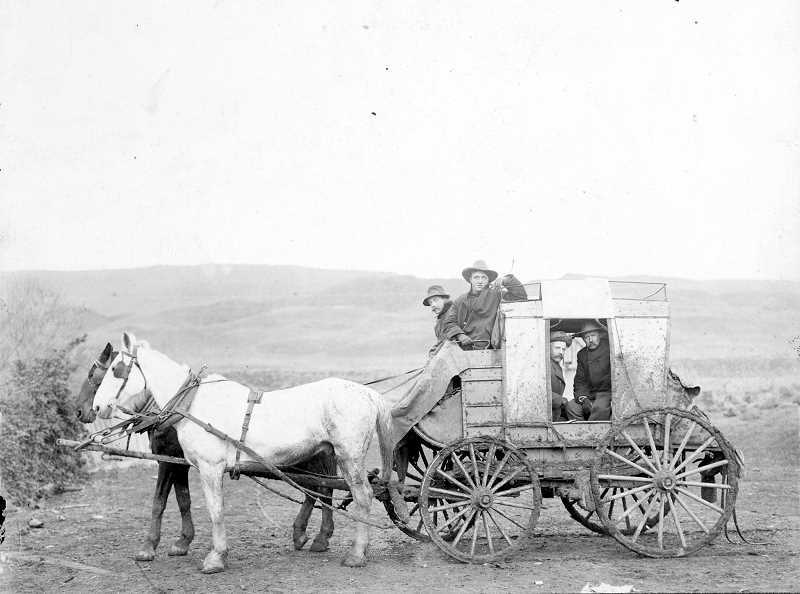 The first known stagecoach service to the Ochoco country was in 1872. Newspaper ads listed service from The Dalles to Prineville via Tygh Valley, Oak Creek, Warm Springs and Willow Creek. The line was operated by the Pioneer Stage Co., owned by the Shultz brothers of The Dalles. Sherar's Bridge was the first major stop on the route from The Dalles to Prineville. Horses were changed and passengers would eat a late lunch. Early overnight lodging was at Bakeoven, where there was a stage stop and inn. The stages did not run overnight. Passengers would have dinner at Bakeoven then would rise early to be off to Prineville, heading down the long and steep Cow Canyon.